One of the basic motivations to start a business or a company is to be your boss. The zeal to set up business start-up attracts people who are self-governing, self-ruling and self-supporting. It is a challenging work to know how to start a company or a business. It is a well-known fact around the world that UAE is the area which drags new investors to plan business or company. There is also the availability of much free commercial policies. There are many significant areas situated within the United Arab Emirates which have special tax tariffs and involves rules and standardizations, these areas are known as Free Zones. Relaxation from taxes both export and import. The Possibility of hundred percent foreign proprietorship of the company or business. Exemption from composite taxes for up to fifty years. Several services are available to assist the investors with sponsorship, habitation, empowerment and much more. Confused about choosing a Free Zone? Ajman Free zone can be a perfect choice. It is an expeditiously flourishing city in the UAE, which provides unique opportunity to register for starting up a business without any barriers. It is cardinally situated at the entrance of the Arabian Gulf, positioned next to Dubai and Sharjah. This provides an easy connection to 4 ports and 2 international airports which operate 168 hours per week. The local docks facilitate transportation of national and international goods. If you are planning to involve in an enterprise with favorable regional merchandise then Ajman is a great option. Registration required to set up a business or a company. Helping in issuing Ajman Free Zone license. 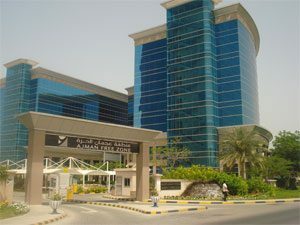 How to obtain Ajman Free Zone license in order to start a company? By Communication with leading commercial service providers named “Business Setup Consultants”. You can simply visit their office and get the license and start your business. What makes you set your enterprise in Ajman? No hidden taxes are involved.